Neutron Irradiated? Is that safe? Apparently it is, although I am not sure I fully understand the why of doing it. 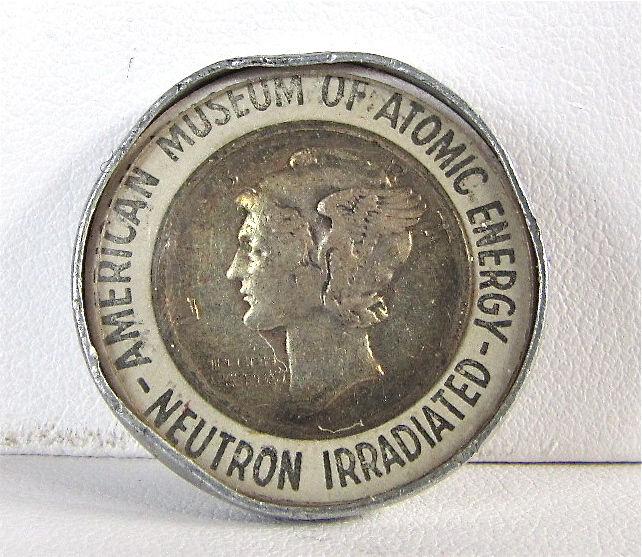 During the 1940s and 1950s, the American Museum of Atomic Energy irradiated hundreds of thousands of dimes as souvenirs. The aim was “to provide a dramatic demonstration of the principle of neutron activation.” What I think that means is, safe radiation, if there really is such a thing.